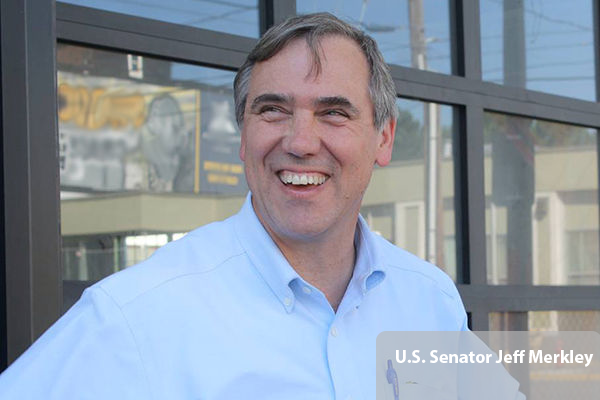 Sen. Jeff Merkley (D-OR) sent a letter congratulating 100 Precision Castparts welders for voting to join the IAM in September. The company makes heavy-duty metal components for airplanes, generators and other industrial products. The welders voted in favor of joining the IAM following changes implemented after the company was purchased by Warren Buffet’s Berkshire Hathaway Inc. early last year. Bringing more fairness in work rules, a safer environment and better compensation are among the reasons workers chose the IAM. “Congratulations on joining the International Association of Machinists District Lodge W24,” said Merkley. “The ability to bargain for safe working conditions and fair pay and benefits is a fundamental right in our society. A strong union contract and respect in the workplace leads to a productive company that everyone can take pride in.